There's a speedbump in plans by Southwest Airlines to buy Frontier Airlines at a bankruptcy court auction. Republic Airways Holdings won the bankruptcy court auction for Frontier Airlines on Thursday, buying the Denver-based carrier for almost $108.8 million after rival Southwest Airlines Co.'s bid was rejected. 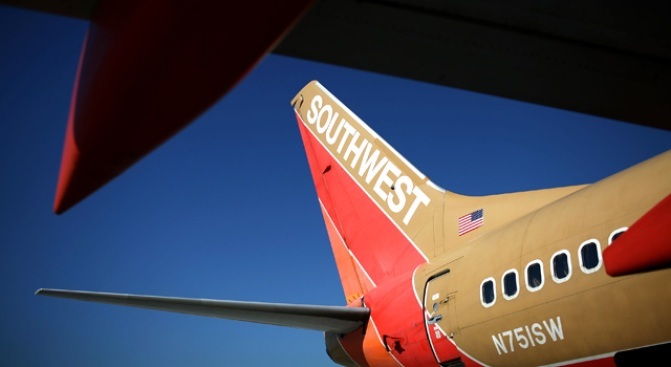 Southwest said its its $170 million bid was deemed unacceptable because the carrier would not back down from a requirement that its pilots and Frontier's work out their integration before the deal would close. That was a non-issue for Republic, which has said it plans to keep operating Frontier as a stand-alone carrier. Pilot union negotiators for Southwest and Frontier talked until late Wednesday without reaching a deal. Denver travelers may see little change, but the deal is huge for Republic. Combined with its recent purchase of Milwaukee-based Midwest Airlines, the Frontier deal transforms Republic from a strictly for-hire operator of airplanes for big-name carriers to being in the business of competing for passengers. Republic's bid has it buying all of Frontier Holdings when that company emerges from Chapter 11 protection, which is expected later this year. It also agreed to waive any recovery on its $150 million general unsecured claim. "Frontier has made impressive strides in returning to sustained profitability in a challenging and uncertain economic environment," Republic Chairman, President and CEO Bryan Bedford said in a written statement.